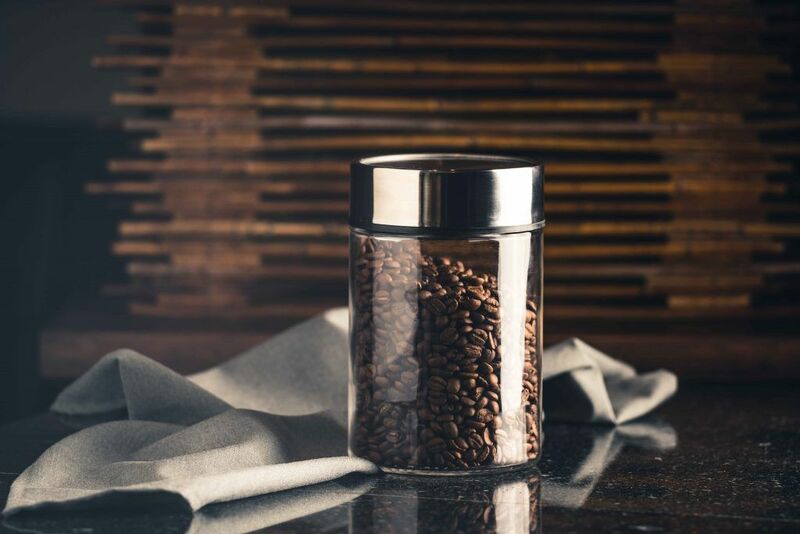 This article will help you in discovering the importance of finding the best coffee storage container to keep the precious supply of coffee beans or grounds. Yes, we all want to drink our coffee especially when it is at its freshest! But, sometimes, there are instances wherein you need to store your coffee first for later. And because we want to keep the freshness we always wanted, the use of the best coffee storage container comes as a rescue. If you are looking for a coffee storage container which would keep your coffee fresh and would maintain its full flavor, then you’ve come to the right place. I have compiled 5 of the best options you can choose from in the market today. So, read on! Why Use a Coffee Storage Container? What to Look for in a Coffee Storage Container? So, why is there a need for you to consider the use of this product? Well, storage containers are definitely important with regards to the quality of the coffee. Freshness is indeed the main reason why using a coffee storage container is so popular for the majority of coffee lovers out there. You know the fact that if you want to make an incredible cup of coffee, you also need beans which are always fresh. And so, if you let these little beans exposed to the open air, they would oxidize. You will definitely avoid oxidation through keeping them away from their enemies (which I will discuss later). That is why the use of this product is crucial in order to maintain the freshness of your coffee beans and eventually your cup of coffee! Most coffee lovers would ignore the use of coffee storage but it is vital that you store the coffee in a place wherein air will stay out. So, finding a quality product to answer this need should be considered. The best way in order to store your roasted coffee is to put it in an opaque and airtight container and it would be a lot better if it is vacuum-sealed. With regards to the different forms of coffee, there could also be specific ways on how to store them. For ground coffee, you should use it right away since it must not go stale at all. If you have roasted whole beans, they are best stored in a dark and cool place and should be maintained at the room temperature. And for those with green coffee beans, you have to put them in an airtight container at a human comfortable temperature as well as humidity environment. These are the best ways to store your coffee and so the need for the best coffee storage container is indeed important. Well, as promised, the undisputed enemies of coffee in any form are ultraviolet light and oxygen followed by humidity as well as temperature fluctuations. Oxygen would cause oxidation that robs the freshness and flavor of the coffee by drying out the natural oil content of the coffee. On the other hand, ultraviolet light is referred as the mutagen which means it causes genetic mutations. This process would break down the chemical compounds in the coffee that works to preserve the flavor and quality, therefore, leaving it dull and lacking in terms of taste and aroma. In addition, time could also affect the freshness of the coffee once not stored properly. Once roasted coffee beans are securely sealed in an airtight container which also keeps out the high temperature and humidity, they could be kept fresh for about a couple of weeks without having to compromise its brew. In order to win against these enemies, a quality coffee storage container must definitely be considered. Upon knowing some of the basic facts about your coffee and the need of using a storage container, you have now decided to purchase one. If yes then you should settle on a product that will serve you effectively. Indeed, this one is the most important feature that you should look for in a coffee storage container. Since coffee is a perishable product which would deteriorate quickly once exposed to air for long, as you store them, you would want to retain the fresh flavor and aroma. This is the reason why there is a need for you to choose containers with an airtight lid though with a simple design. You must make sure that the container should have enough capacity and should be easy to clean. And it is as well important that you should have enough space for you to store the container properly. Whatever the material used, your preferred product should be high quality, durable and easy to clean. 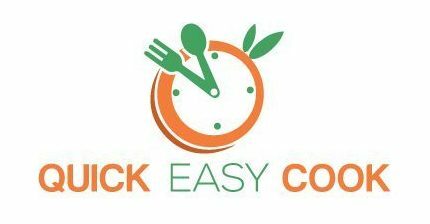 This will offer you an easy time in terms of maintenance of your investment. 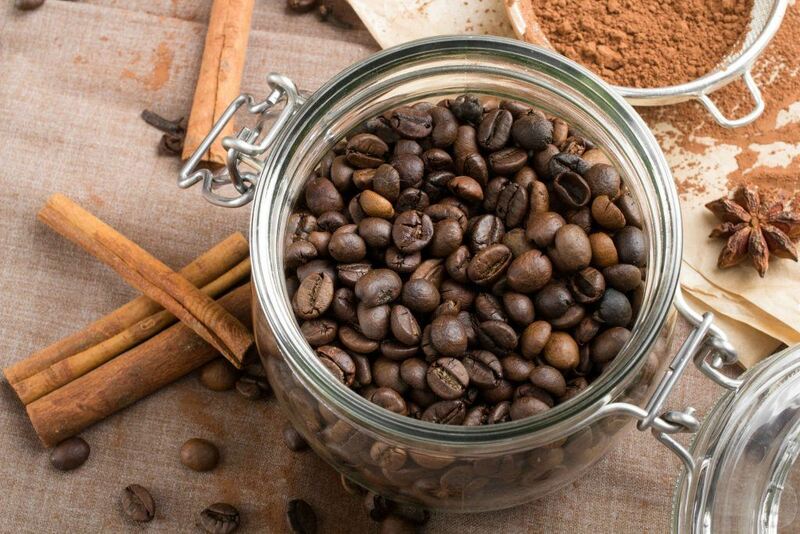 A good coffee storage container has this ability to protect the coffee beans from certain elements. If you think about the freshness of the coffee beans, some agents of deterioration include light, heat, and moisture. If you plan to put your coffee storage container on the kitchen counter, you should also look for a product that features an aesthetically appealing and expert design. Some containers would come with some accessories like coffee scoops making it a lot more convenient to measure the coffee for a great cup of the said beverage. So, opt for the product that comes with such accessories. This one is referred as a vault due to a certain reason. It is unique enough to work as for keeping the damaging CO2 out and away from the coffee using a special filter. 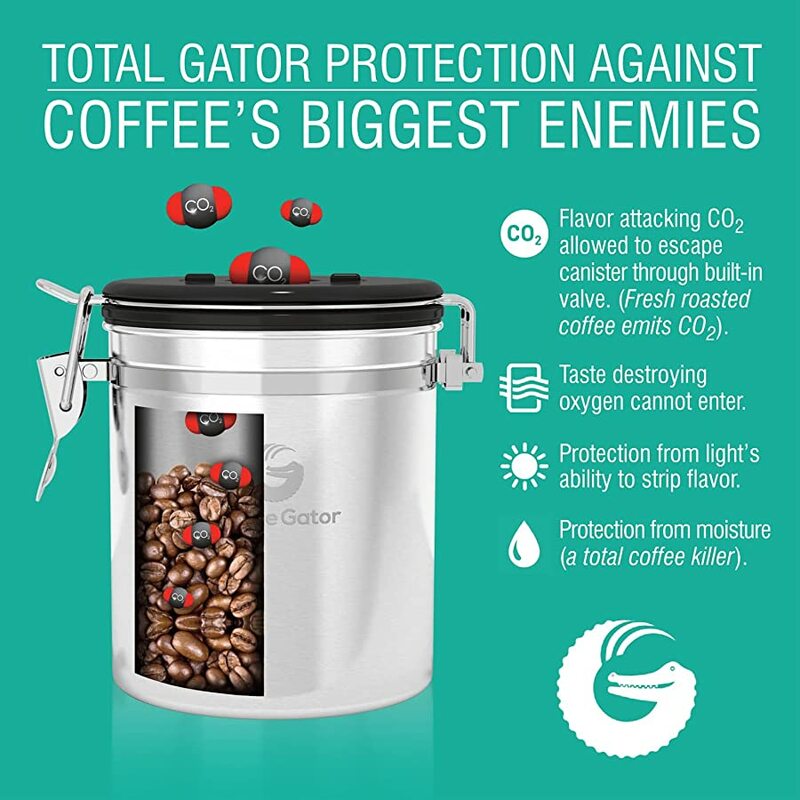 This product has an overall system that would allow the CO2 which is naturally emitted from all the coffee grounds or beans out of the canister but not back in therefore creating a vacuum wherein CO2 couldn’t live. And thanks to the use of the Friis Freshness Valves that made this special design possible. As you buy this canister, it comes with a year's supply of the valves wherein you are required to change every 60 days based on the guidelines of the manufacturers. This one is indeed made of stainless steel as to offer a stylish addition to the kitchen countertop too. But, the carbon dioxide filters might be an ongoing cost for some through the years of using the product. Why is this on top? For something that features smooth closing latch which seals coffee tightly to last longer, this one definitely deserves on top. 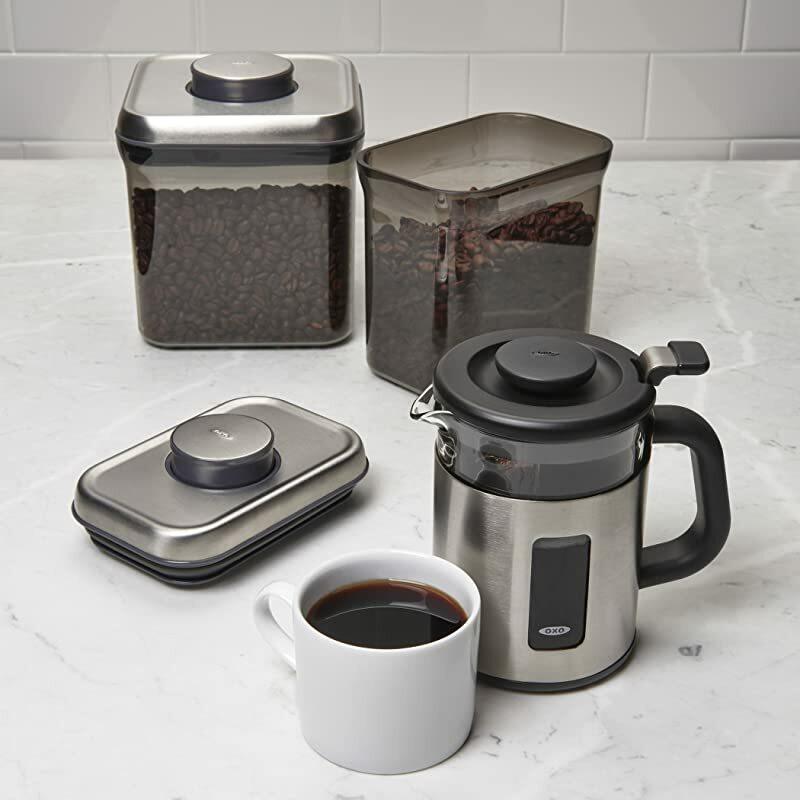 This coffee storage container has a filter which doesn’t need to be replaced over time, therefore, making this product ultimately maintenance free. You only need occasional cleaning if you choose to purchase this product. In addition, this container is made of lightweight stainless steel and could be purchased in different colors too. And due to its basic design, it is so easy to clean as well. It features a wide mouth which makes it simple to scoop the coffee out having not to get your hands dirty with the coffee grounds. 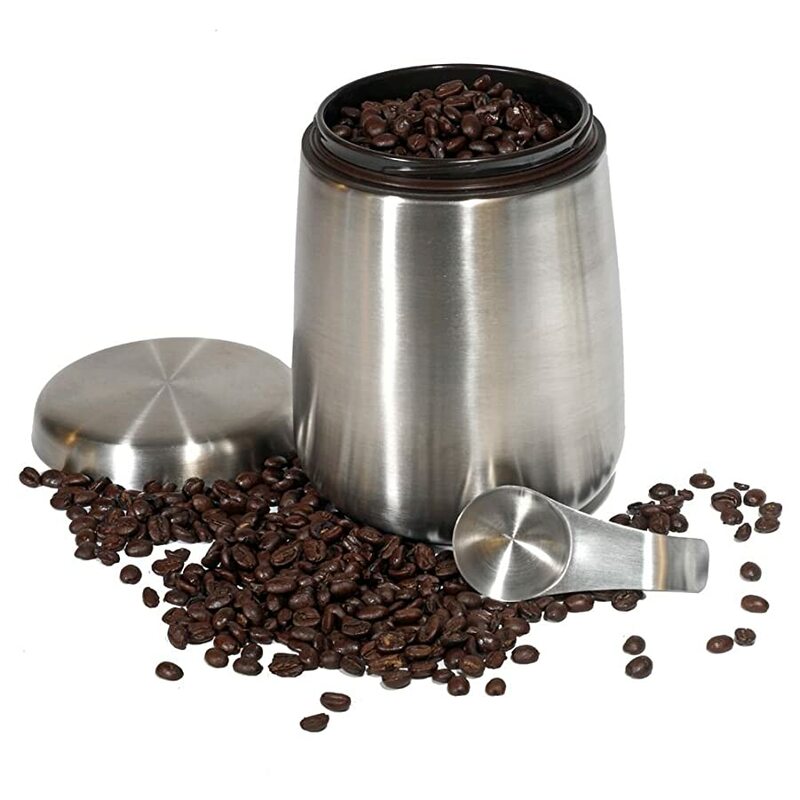 You will also love the included stainless steel coffee scoop which you could store right inside for easy access. 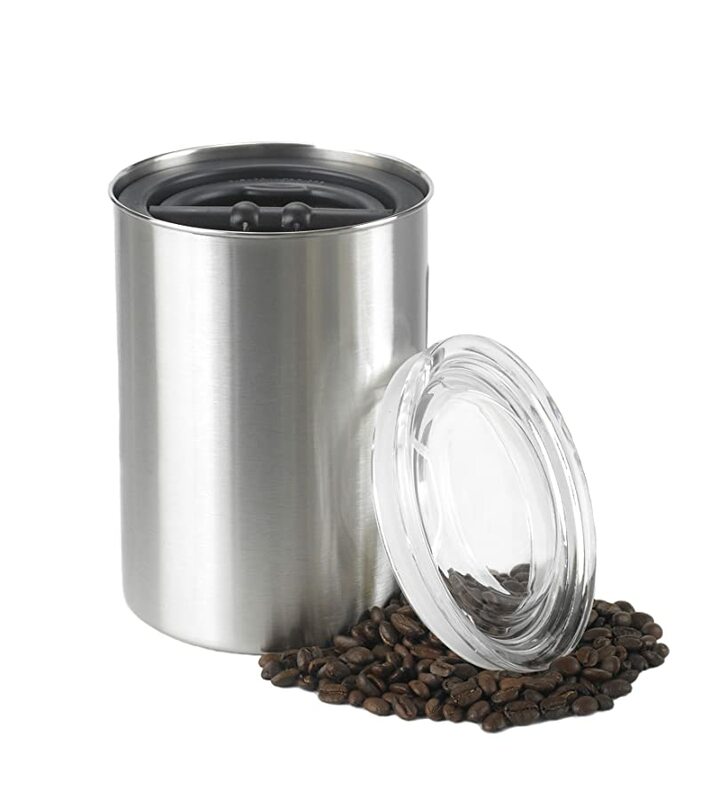 Though, it doesn’t have the vacuum seal which other options have, coffee will last longer in this container that includes filter and flexible gasket. 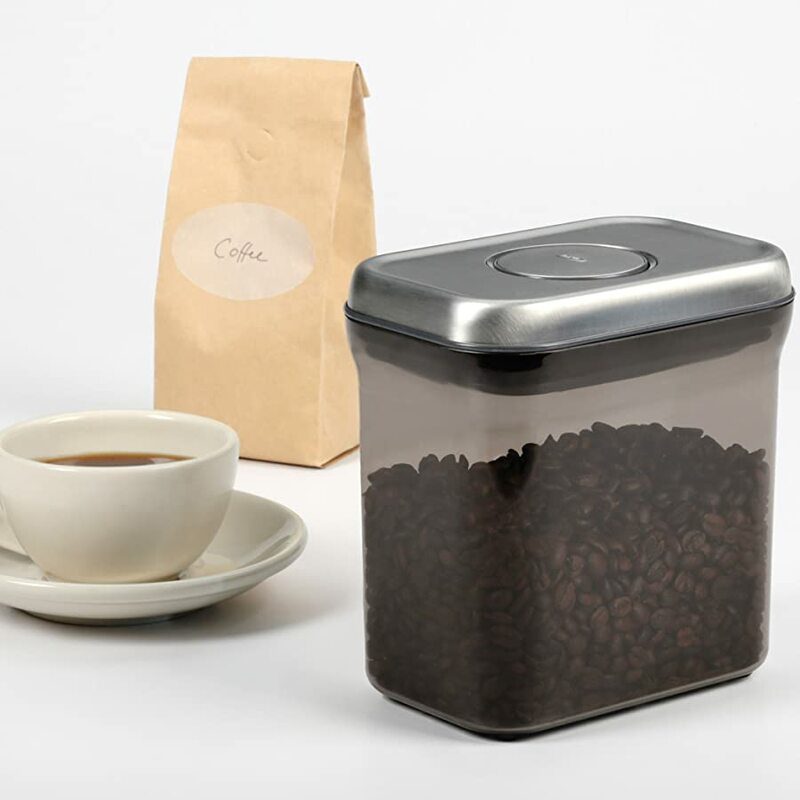 And last but not the least, this coffee storage container is a great choice if you want the coffee to be fresh. This last option has a sealing system that is achieved by pushing the topper down the coffee supply in the container. This sealing system pushes as much air as possible out the canister and another lid is being added on top of the container for achieving ultimate freshness. All of these will help in keeping the moisture out and so the freshness to be in. 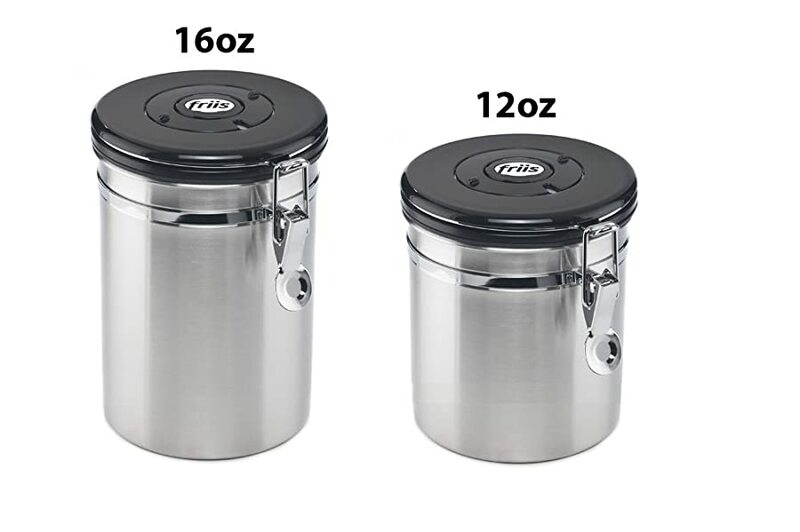 Along with that, this storage canister is made of stainless steel and is available in different colors. You could definitely choose the right color that will match the décor of your kitchen. But, you might find the extra lid to be a bit cumbersome too. If you want to see how much coffee you still have in the container, then this one is the right choice. This coffee storage container is made of strong and BPA-free plastic which is transparent but tinted. With this, it will protect the coffee or some other products like tea or spices from harmful UV rays. In addition, it also features an airtight seal once you press a big button at the top of this product. And this container has this ability to easily stacked making it a lot easier for you to save on the storage space as well as organize the countertop. It also makes it easier to pour contents since this container has well-shaped corners. The hand wash parts and the dishwasher safe silicone gasket are both easy to clean. However, though considered as BPA-free, storing food in a plastic container like this is still questioned. On the other hand, some of the included accessories aren’t that great. There is a thermometer that might take too long to get a precise reading. And the plunger might be hard to remove as well. Another one in the list is a stainless steel canister which comes with a twist-on top. The topper of this product has a plastic and silicone seal as for keeping the air out and this comes with a stainless steel scoop too. Well, this scoop is easy to keep around since it sticks on the top of the canister through a magnet in the topper. Just store this scoop on the outside or inside of the canister. In this container, you could store grounds or beans and you will love the fact that it’s also an excellent storage for other foods. This is the reason why this one is a very versatile addition to the kitchen. It also features large mouth of its canister making it simple to scoop the coffee out the container without making any mess. Nevertheless, it has ridges in the seal which makes it a bit hard to clean. If you are tired of poor quality coffee because of a poor quality storage container, then worry no more as you now have the best options to choose from. 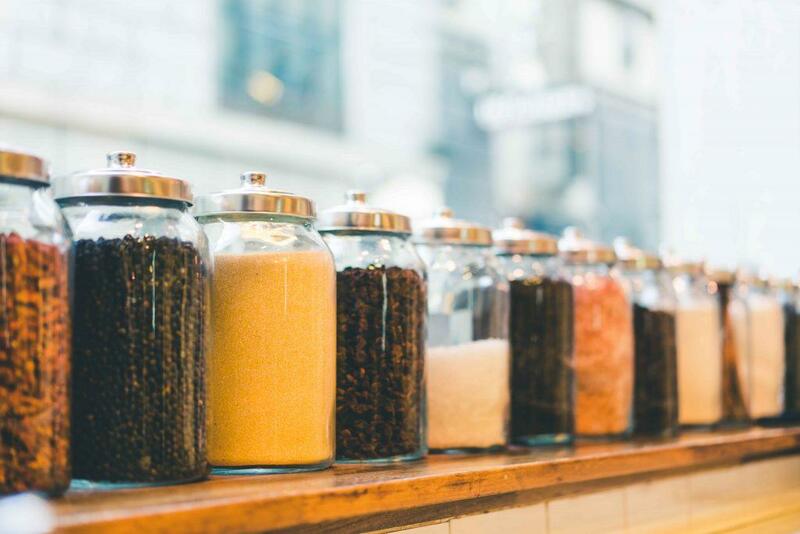 The above-mentioned products are available in the market today and you only need to choose whether which one best addresses your coffee needs. You can also watch this to learn how to store your coffee properly. I hope you learned something from this article! 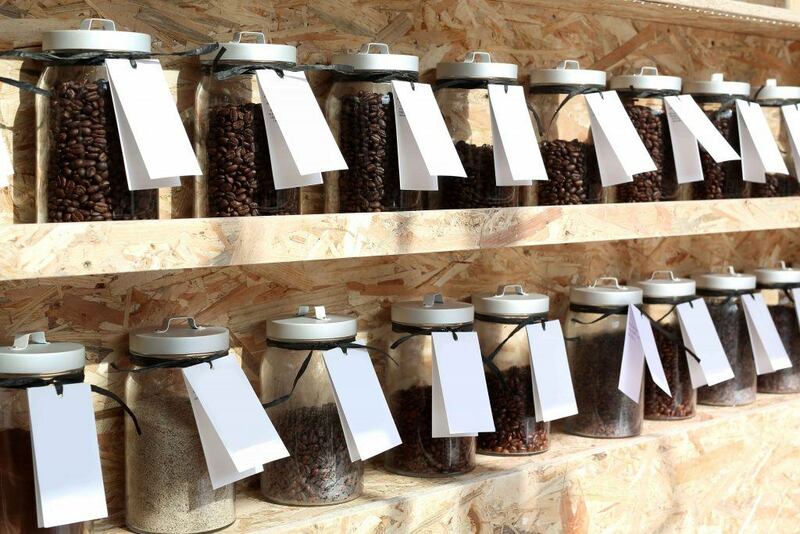 Please help others to choose their best coffee storage container too by sharing this article! Thank you! If you wish for more coffee grinder, coffee press and coffee maker, visit here.